Justice Bennett, 19, lost control of the vehicle while fleeing police and overturned and crashed in Melville, cops say. SCPD arrested Justice Bennett of Bay Shore, 19, for DWI (Leandra’s Law) after he stole a vehicle, fled police and was involved in a motor vehicle crash on Saturday, August 5. Melville, NY - August 7, 2017 - Suffolk County Police arrested a man for driving while intoxicated and endangering the welfare of a child after he stole a vehicle, fled police and was involved in a motor vehicle crash in Melville, New York, on Saturday, August 5, 2017 at 3:16 a.m.
A Second Precinct officer observed a man in a 2001 Ford driving recklessly southbound on New York Avenue at east 15th Street, Huntington Station, New York, at 3:12 a.m. The vehicle had been reported stolen from Bay Shore, New York, at approximately 2:30 a.m. An officer attempted to pull over the vehicle and the driver, Justice Bennett, fled. Bennett lost control and the vehicle overturned and crashed at Old Country Road, west of Ponderosa Drive, at 3:16 a.m.
Bennett, 19, of Bay Shore, was transported by the Melville Fire Department to Nassau University Medical Center in East Meadow for treatment of serious injuries. 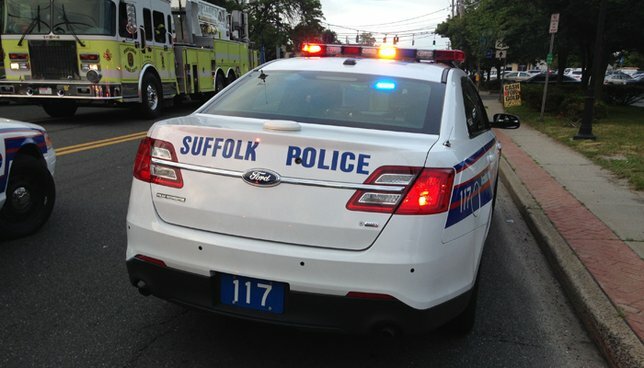 A 13-year-old passenger and two 14-year-old passengers in the vehicle were all transported by the Melville Fire Department to Nassau University Medical Center for treatment of non-life-threatening injuries. Second Squad detectives charged Bennett with Criminal Possession of Stolen Property, three counts of Aggravated DWI (Leandra’s Law), three counts of Endangering the Welfare of a Child and Unlawful Fleeing of Police. He is scheduled for arraignment at a later date. Subject: LongIsland.com - Your Name sent you Article details of "Bay Shore Man Arrested for DWI, Endangering Welfare of Child After Crash in Stolen Vehicle"